Your “Business” and “Personal” earnings should be kept separate. Deposits are for future events. Not income…yet! Here are two tips to solve these two issues. When you work as a photographer, you are most likely running your business as a one-man band. For the most part this is simple. However, what being a sole-proprietor also means is that your business is just you. If your business makes £10,000 then you make £10,000. There is no separation. You may want to “leave” money in your business bank account, however you will still pay taxes on that income as you and your business are one in the same. So if we’re the same, why even have two bank accounts at all? Because a business needs to be treated like a business! How is anyone supposed to budget if you’re paying for your groceries, Christmas presents, example albums and second shooter fees all from the same account. You need to have separate accounts! So whether you make £12,000 (say in a month like August) or £250 say between December and March, you’ll be paid the same amount! This is a really important point. Deposits, although described to a client as non-refundable, cannot be spent in advance as if they are non-refundable! What I mean by this is – yes, if a client cancels their wedding or portrait session, or decides that they’d like another photographer then you are not obligated to return their deposit. However what if something completely unforeseeable happens; a disastrous family emergency that will last for months? A severe accident? Or an unexpected pregnancy with lots of complications? Nobody likes to think about situations like this and we certainly don’t need to dwell on them but we do need to plan. Always keep track of how much money in your business bank account are deposits. If you book weddings a year or more in advance then it might be normal for you to have £10,000 in your bank account that “isn’t yours yet”. If an emergency happens today – do you have X amount of money to refund all your clients? Don’t spend your money until it’s earned. Until that wedding day is photographed or portrait session is completed, that money needs to be treated as temporary. 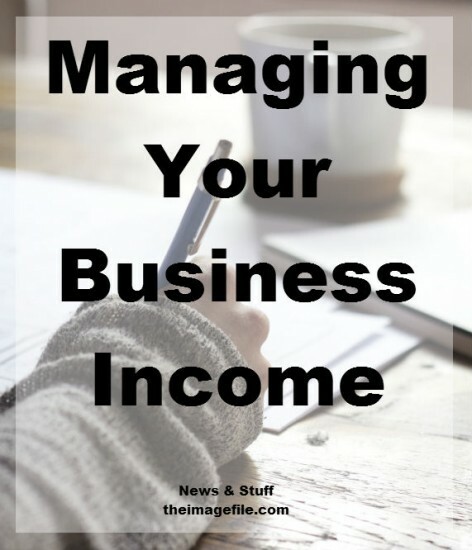 How do you manage your business income? Is there a tip we’ve missed out?